Soon after, his career faced a jolt when he injured himself in the CFL 2017-18. India will play their first match against Sri Lanka in the SAFF Suzuki Cup 2018 in Dhaka on September 5, 2018. 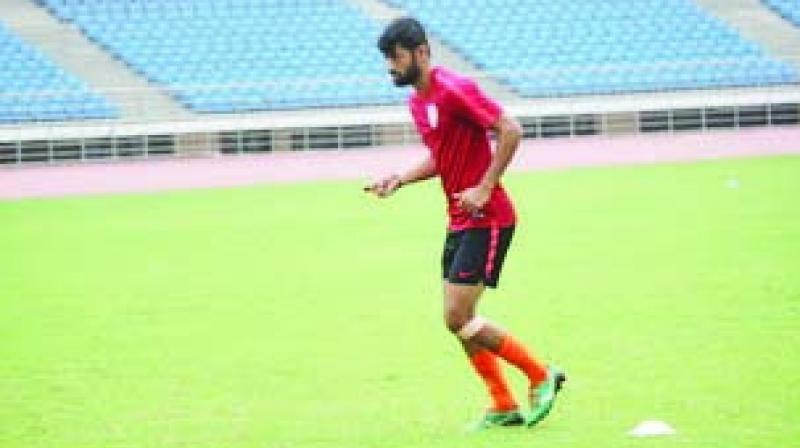 The 22-year-old Mumbai-based player Nikhil Poojary made his professional debut for East Bengal in the 2016-17 season before making his international debut for India U-23 National Team in the AFC U-23 Championship Qualifiers in Doha where his sparkling performance down the flanks earned him huge plaudits. Soon after, his career faced a jolt when he injured himself in the CFL 2017-18. “After the eventful 2016-17 season, I hit the rock owing to the injury next season. Initially, I didn't have the slightest idea how serious the injury was. But the MRI report showed that there was a tear, turning out to be ACL in my left leg,” Poojary informed. “Honestly, I was not expecting to get a call-up in this camp but Coach showed his faith in me. Herein lies the challenge for me. All the boys are super-fit and I have no other option but to be on par with them. Come what may, I have to push my limits and perform well. It's a great opportunity and I would not leave this one wasted. I need to make it count,” Poojary sounded determined.